Open water swimming is very important to your training and should be part of your summer program. Since this is where you are going to be racing, it makes no sense not to be swimming in the open water at least once a week. Pool workouts still need to be done to do interval work and maintain good form, but you have to get into the open water. Most triathletes at this time of year, look forward to getting back into the open water after a long winter of counting tiles up and down the pool, constantly turning, and sharing a lane. Buoyancy changes occur once you put on that wetsuit. You sit higher on the water and stroke adaptation needs to take place for optimal performance. And, face it we all need to work on sighting and swimming in a straight line, having followed a black line all winter. 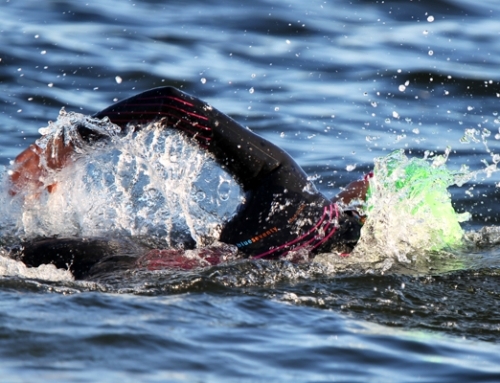 The beginner triathlete should try to get as much time in the open water as possible before a race. If you ask any beginner I can bet my last half dollar that their biggest fear on race day is the swim leg. Open water can seem intimidating. The colder the water, the scarier it seems to get. Other fears include losing the safety not of being able to touch the bottom or being close to the edge, the dark, murky and disorienting environment, and lastly the mass start of swimmers. The longer you give yourself to acclimatize to the open water, the sooner you will become at ease with this environment and realize how wonderful it is to be outside. Once in your suit you need to get into the water, wetsuits work by being wet. You need to get a layer of water all around the suit. A little water in the neck of the suit will fill the suit and improve the fit. The excess water will flush out naturally as you begin to swim. The colder water and the compression of the suit will likely result in shallow, quick breathing. 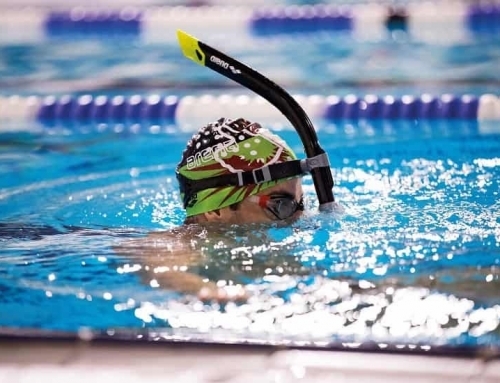 Spend the first few minutes of swimming warming up and focusing on breathing and finding your stroke rate. Remember you know how to do this, so use your skills. Once you get your breathing under control everything else will follow. Remember all those rotation drills you did this winter? Now they come into play. Since the wetsuit provides buoyancy, the physical effort you needed to stay afloat in the pool is far less in the suit. This means you can focus more on propulsion. Try to start slowing down your stroke rate, kick rhythmically, and allow lots more rotation in your hips. 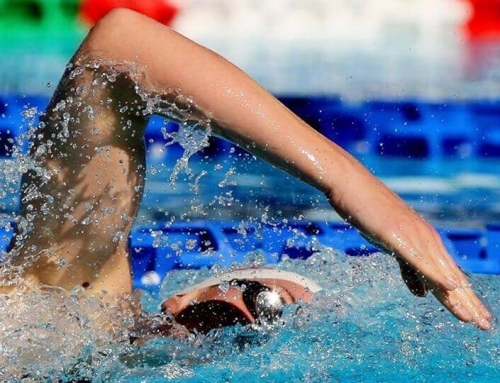 The power in your stroke comes from rotation, so better rotation will equal faster swimming. The shortest distance between two points is a “straight line”. Few of us swim straight without navigating. Do not sight and breath at the same time, this makes you lift your head too far out of the water. Instead, sight just before or between breaths, lifting only your eyes out of the water. It is very easy when swimming in open water to fall into the trap of getting in and just swimming. Just like a pool set or a track session break your open water swimming into different elements to be more effective. Use some drill work to get warmed up. 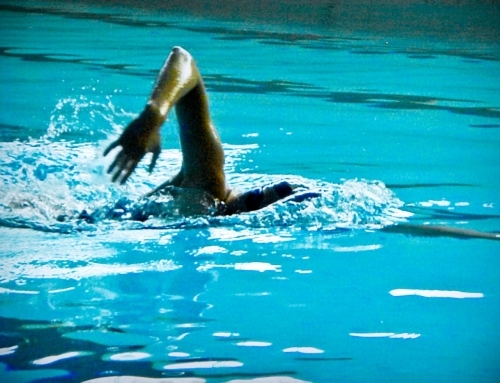 Practice swimming at different efforts, anaerobically and aerobically. This will replicate fatigue and loss of technique that can occur when you are tired in a race. Swimming should never be done alone, it is just not safe. 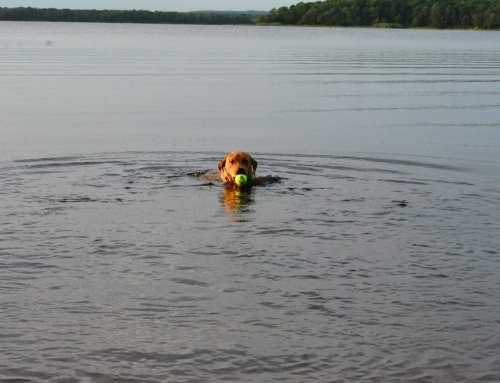 Swimming with others will help develop your open water skills. Learning to draft and swim in close proximity to others will make it much less of a stressful issue when you are in a race. Being comfortable in the churned up washing machine water will soon become something that does not stress you out.